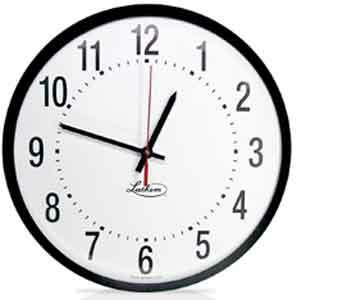 12" Analog clock with Round clock face, Surface mount, Arabic numbers. Available in synchronis and impulse. 12" Round Analog face, Surface mount, Arabic numbers.